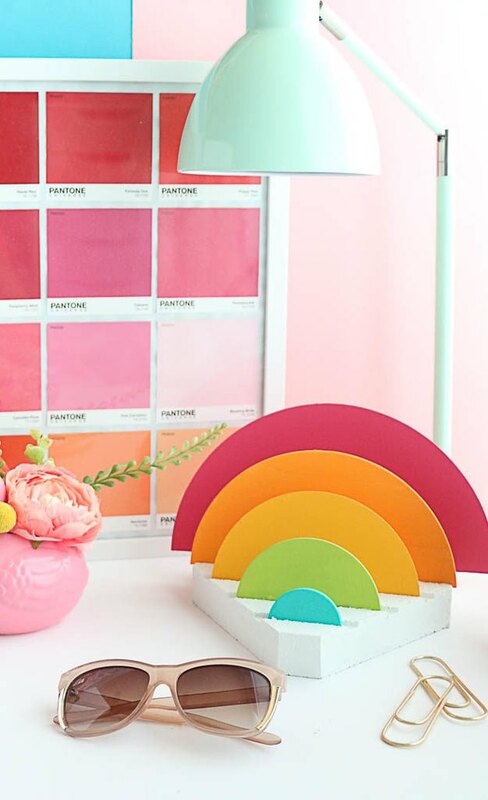 If you ask us, rainbow decor belongs in every room of the house, every day of the year. 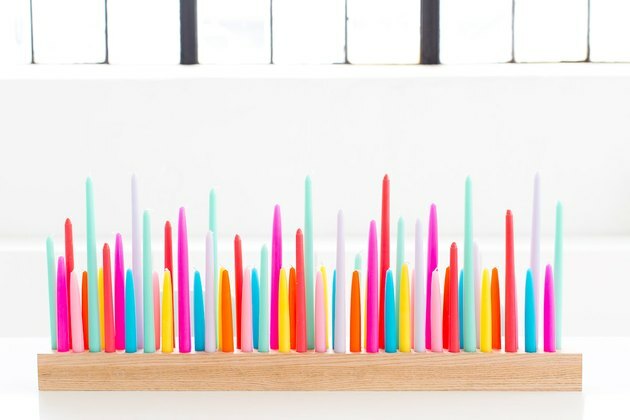 Not only are these colorful pieces perfect for jazzing up an all-white space, but they're just so much fun and will instantly brighten up your day. Whether you're looking to spruce up your living room or punch up your bedroom, here are 18 vibrant rainbow-inspired pieces of decor guaranteed to add a brilliant pop of playful color. 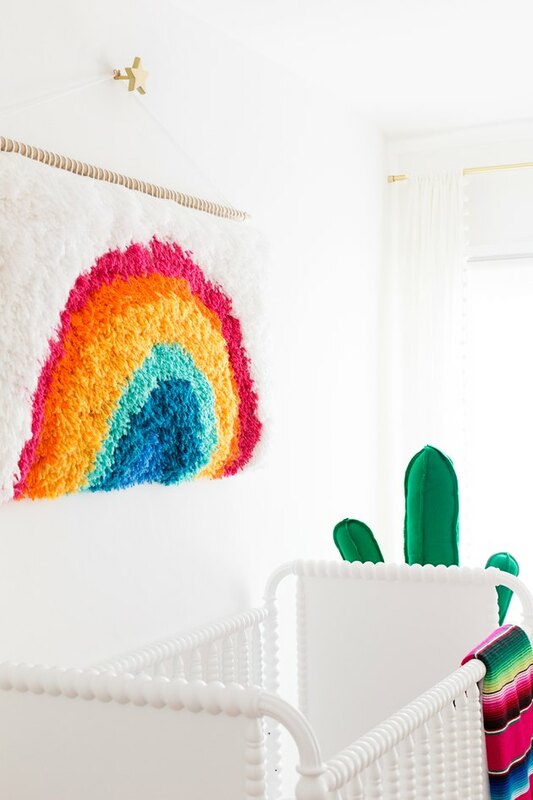 Forget pastel blues and pinks for your bundle of joy's nursery, opt for something a little livelier like this cheerful DIY latch hook wall hanging from Kelly over at Studio DIY. 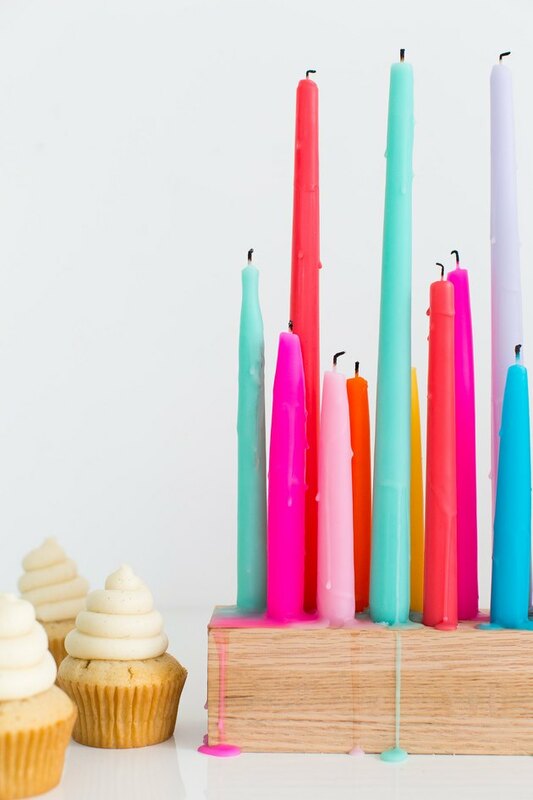 Not only will this rainbow piece of art be the cutest thing in the room, but you might also be surprised at how relaxing this crafty project is, too. 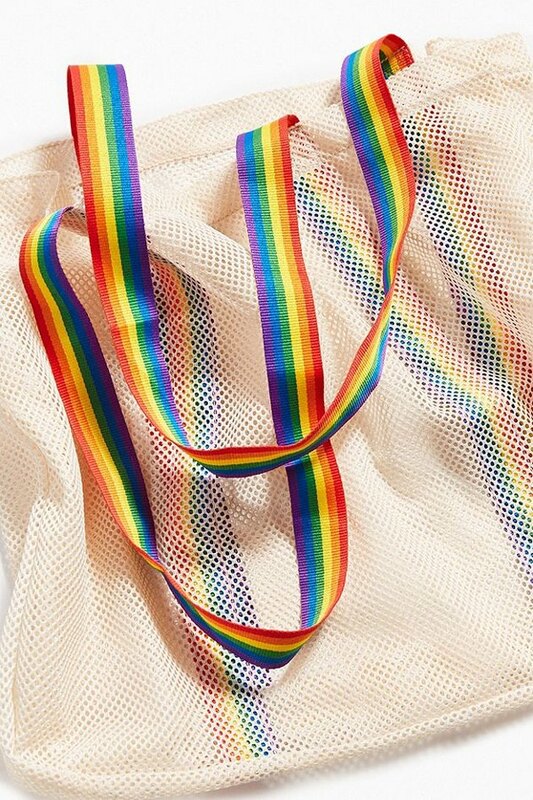 The great thing about this mesh number with rainbow-striped handles — besides the fact that it's ridiculously good looking — is that Urban Outfitters donates $10 of every purchase to GLSEN, a nonprofit supporting LGBTQ issues in K-12 education. And who couldn't use another tote bag? 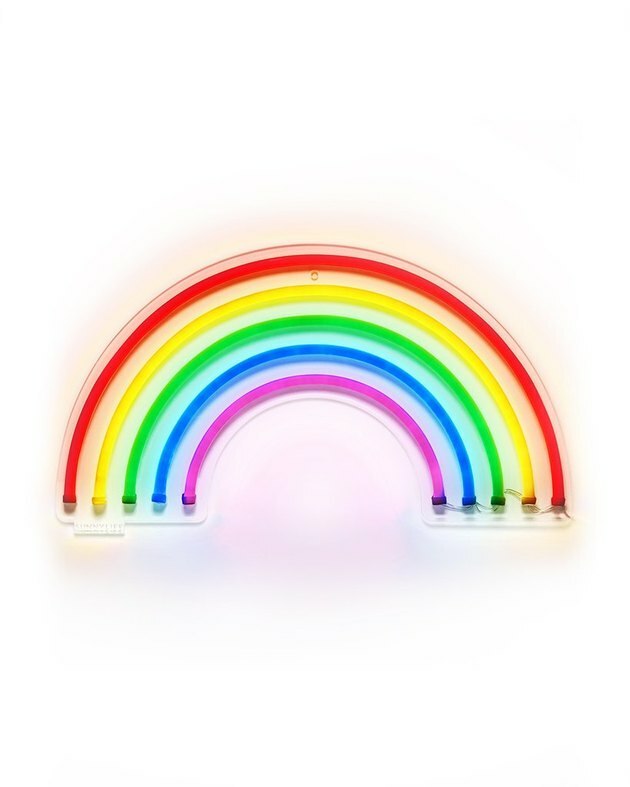 Light up your room (and your life) with this brilliant — literally — neon rainbow wall sign. Hang this colorful piece next to your wet bar or bar cart for the perfect, cheeriest party-inspiring ambiance. 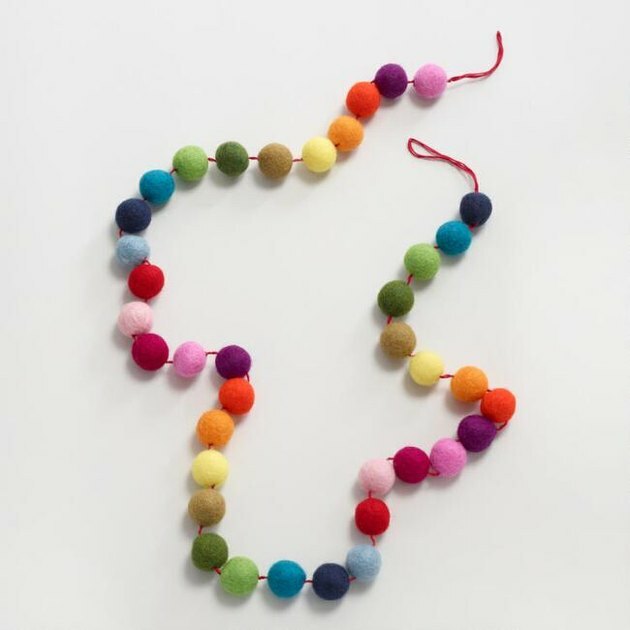 Whether you're decorating for a boho-chic dinner party or you're just dressing up the walls in your tiny tot's bedroom, you can rest assured knowing that this colorful handmade garland will leave a lasting impression. 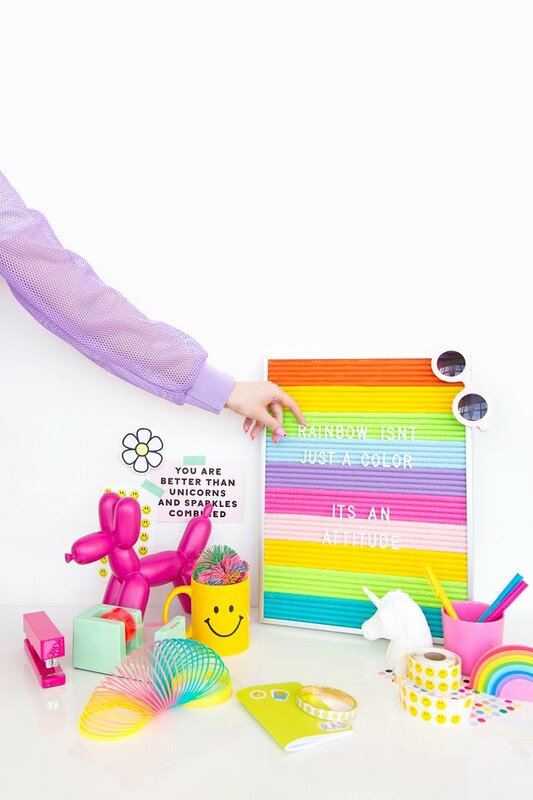 A rainbow-colored letter board? Talk about riding a trend tandem bicycle! Check out how you can make this chromatic piece of decor with a few basic supplies like corrugated cardboard and brightly colored felt from Sam over at Aww Sam. Shut the front door! 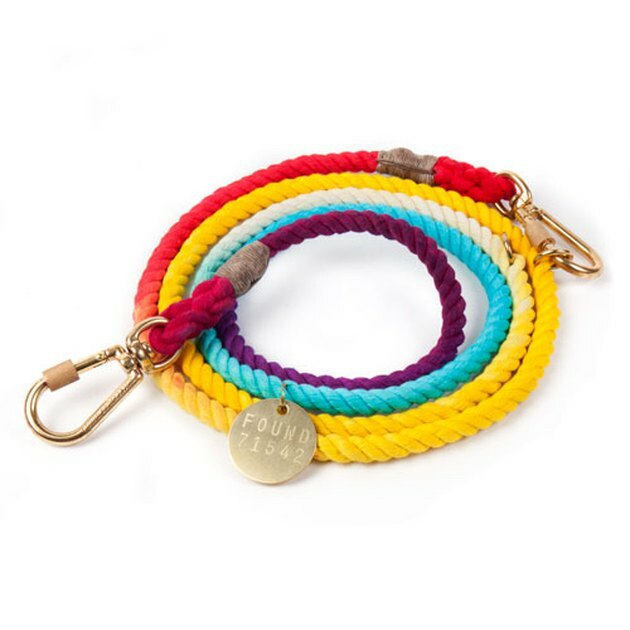 How cute is this rainbow-inspired dog leash? Your furry, four-legged friend will be strutting their stuff when walking down the block with this handcrafted accessory made from marine-grade rope and solid brass hardware. Give Netflix a break and challenge yourself to this prismatic puzzle, instead. 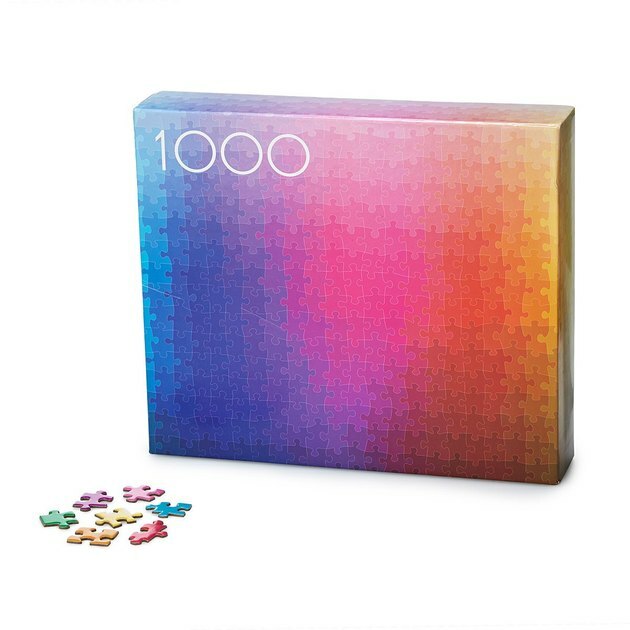 Unlike most puzzles, this rainbow-inspired option doesn't have image details (such as trees or buildings), rather each of the 1,000 pieces represents an individual hue in the CMYK color spectrum. And bonus: When you're finished you can frame your new piece of abstract art. 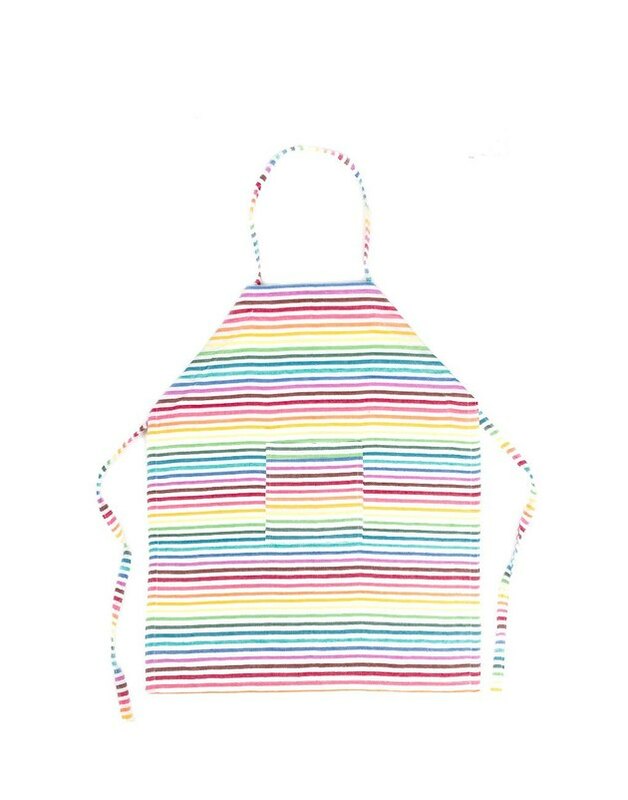 Make sure your tiny chef's designer duds are protected with this adorable rainbow-striped apron. But be forewarned: Once they put it on they may never want to take it off. Set a stunning tablescape with this three-foot-long DIY taper candle centerpiece from Ashley over at Sugar & Cloth. The colorful end result is awe-inspiring and creates the perfect ambience for a fun and playful dinner party. 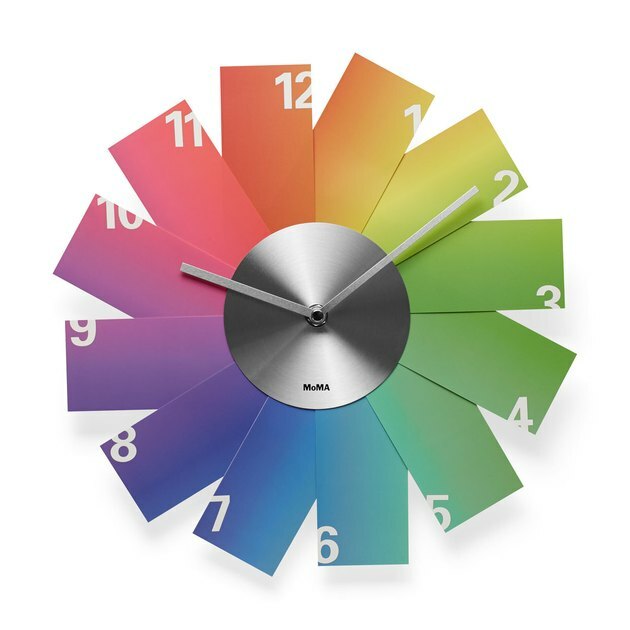 Give a plain white wall a pop of color with this minimal clock from the Museum of Modern Art. It gets its rainbow effect by mimicking paint chips, while a sleek aluminum center ties all of the colors together. 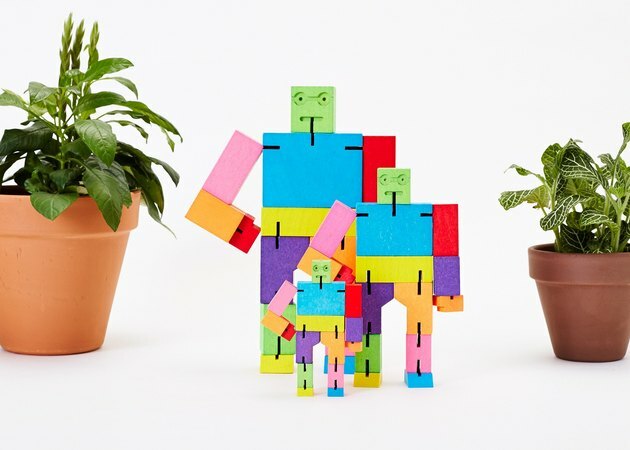 Brighten your tiny tike's day with this colorful wooden toy robot. Or better yet, keep this modern design for yourself and add a little fun-loving personality to your living room bookcase. 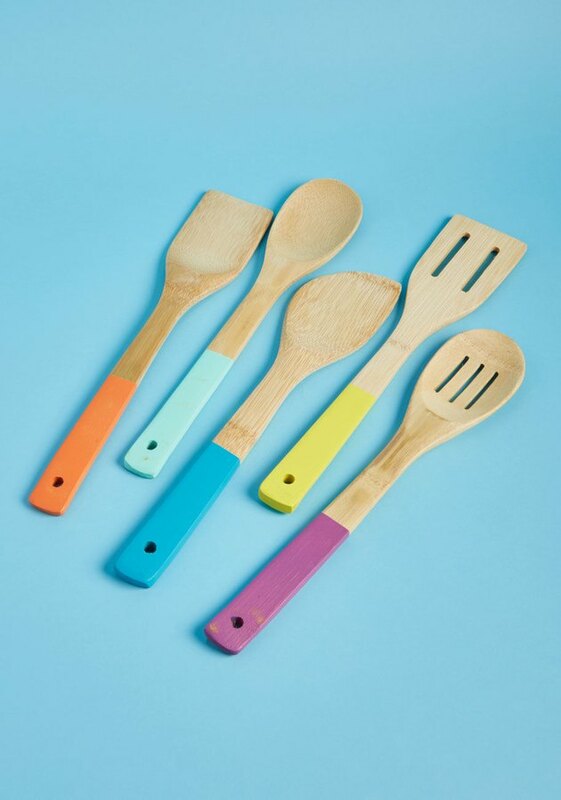 Add color to your all-white kitchen with these dip-dyed bamboo utensils. Bright rainbow hues make serving salad significantly more fun. Love the rainbow-esque intermingling of colors but don't want to show off a literal rainbow? 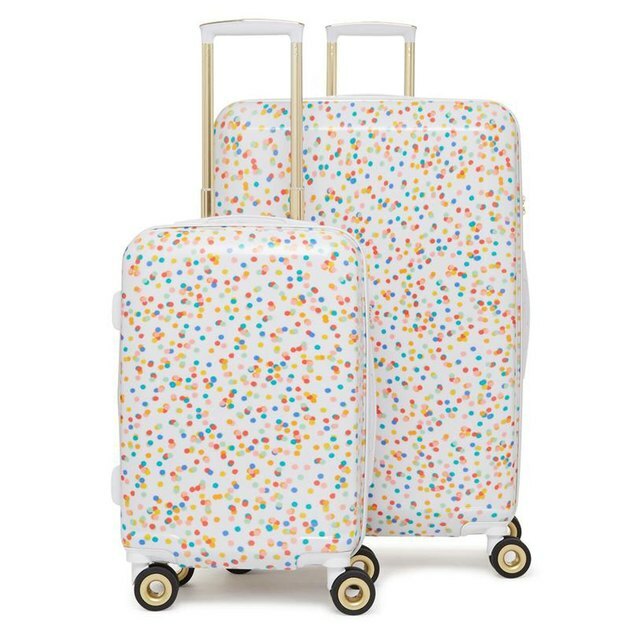 Then this confetti luggage set is exactly what you need to keep the good times rolling (see what we did there? ), and take the cheerful vibes with you wherever you go. 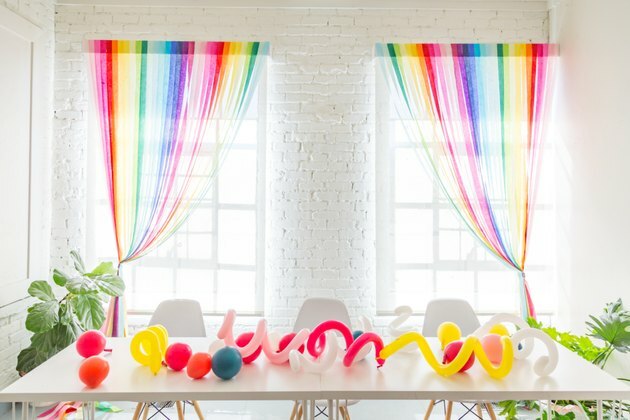 These simple streamer curtains are the perfect backdrop for a fun afternoon soiree. Get this look with just two ingredients: streamers and washi tape. Check out Brittany's step-by-step instructions on The House That Lars Built. 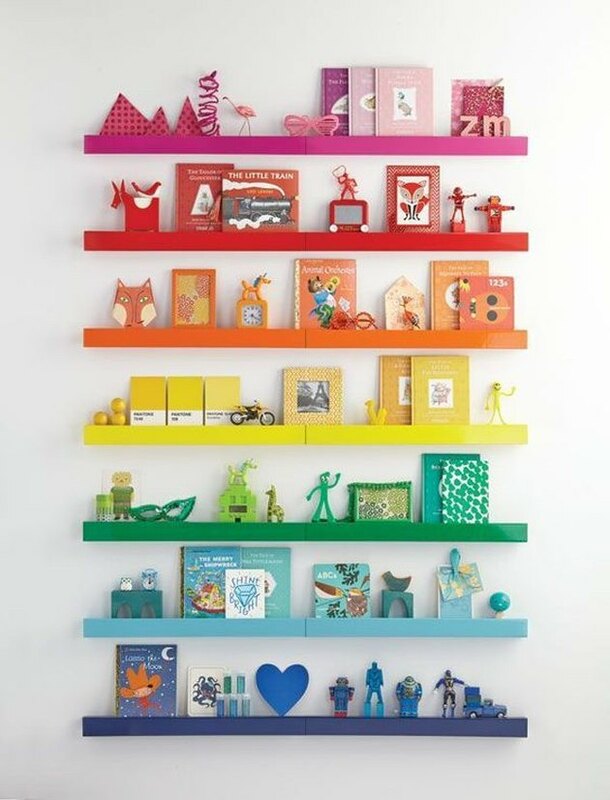 We just can't get enough of these rainbow wall ledges styled with color coordinating decor! They are cute as can be and a great way to store a lot of knickknacks that you've collected over the years. Summer isn't quite over yet. Enjoy every last sun-drenched day and hit the beach with this rainbow-colored towel. Not only is it quick-drying, but the sand won't stick to it either — which you'll be happy about when you throw it in your car. 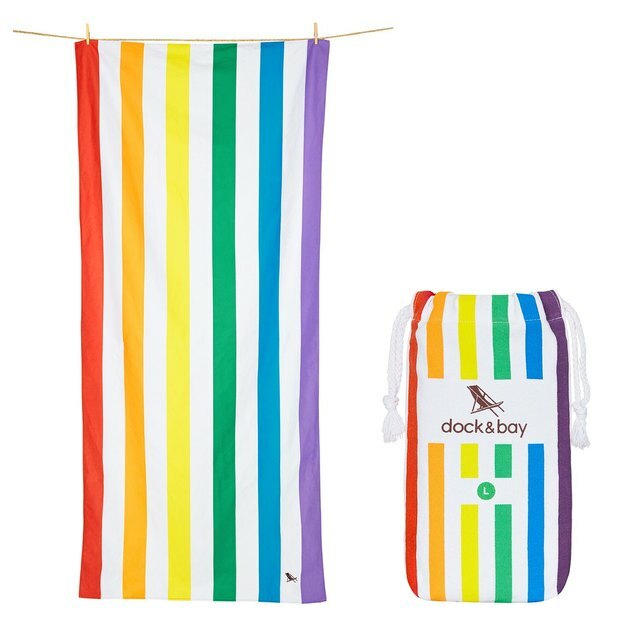 And bonus: Dock & Bay donates 10 percent of every Rainbow Towel sold to Twenty10, an organization that supports LGBTIQA+ individuals. This colorful cabinet is an ideal addition to any small home office space in need of a little extra storage. 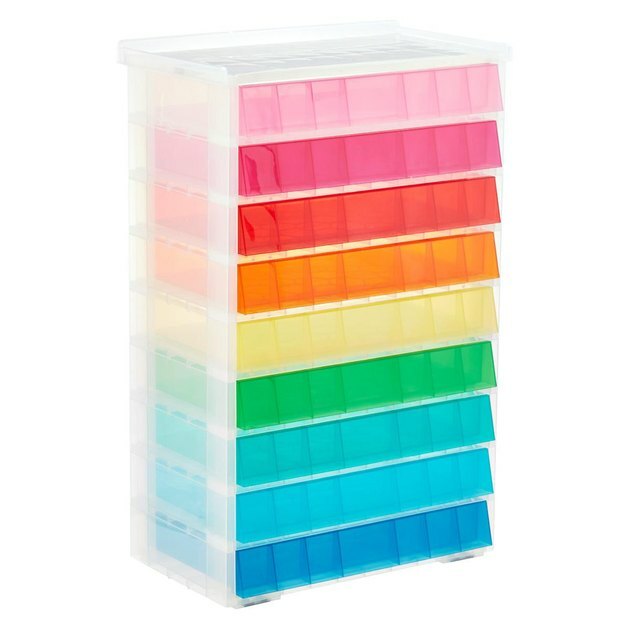 Complete with nine bright drawers, each in a different hue, this piece is an organization lover's dream.